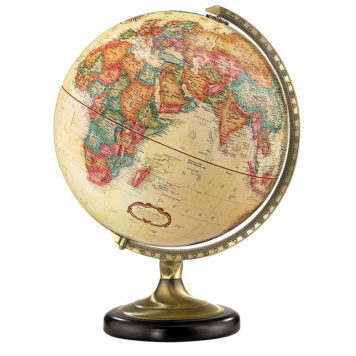 Rustic and rough-hewn, the Hamilton provides a unique blend of classic and contemporary elegance. 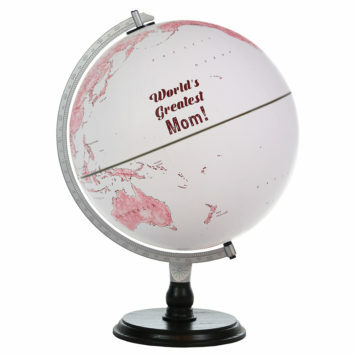 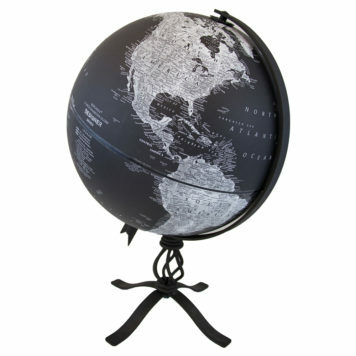 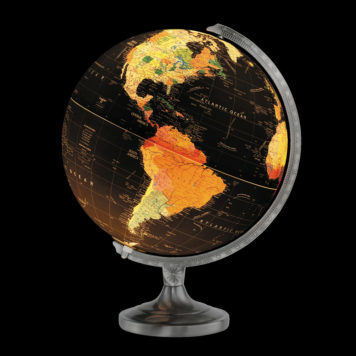 This globe features an up-to-date political map on a sophisticated black globe ball with white and gray half-tones. 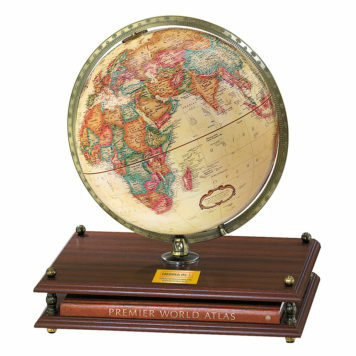 Let your fingertips do the walking as you explore the world thanks to the unique soft “velvet-like” finish of the globe and the raised relief embossing that provides a 3D-like texture to the certain terrain. 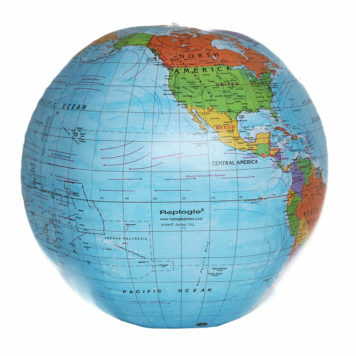 The oceans are presented on the map with a mixture of black and gray color styles. The black rustic arrow style base provides the classic detail to complete the look of this beautiful globe. With over 3,500 place names boundary markings this globe is both beautiful and politically informative. 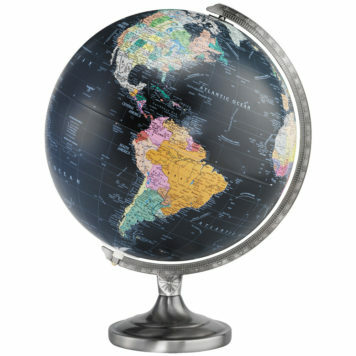 The Hamilton Globe from Replogle’s Designer Series is the perfect décor globe for any setting.